If I can't be an astronaut, at least I have a job that lets me visit some interesting places. I have been to this steel mill before but on non-production days (so we could safely use data logging equipment). Today was the first time I was there while the line was hot. 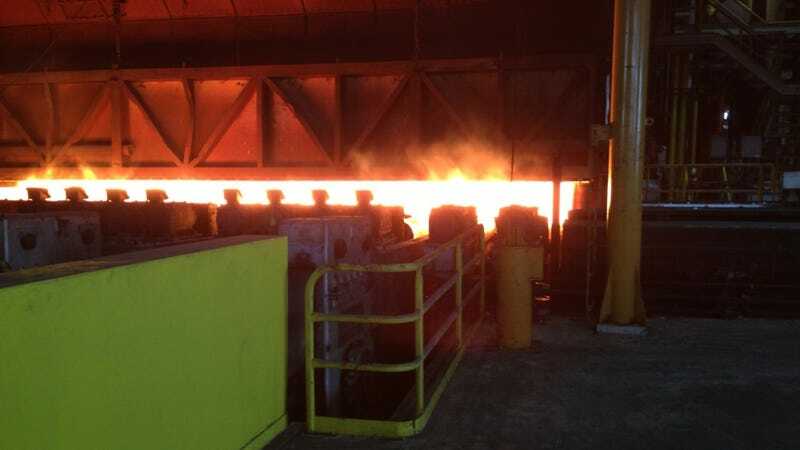 Trivia note: This is the steel mill where part of Terminator 2 was filmed.